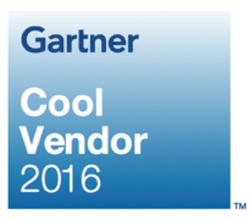 PierceMatrix, a leader in providing threat visibility and fast responsiveness to security professionals, was named in the ‘Cool Vendors in Security Threat Intelligence, 2016’ by Gartner. We are using automation to make an efficient next generation security professional, rather than another ‘me too’ tool that ends up giving users more homework. PierceMatrix improves your company security by identifying and orchestrating the removal of hackers from your network. It looks at events on the network and provides recommendations and orchestration to increase security. It uses an artificial intelligence engine that was first used by DARPA and the US military, along with a proprietary knowledge base of global malicious actors. There are thousands of companies using PierceMatrix and contributing to its network today. PierceMatrix (http://www.PierceMatrix.com) is a security product company that automates security processes for small and medium business that cannot afford to hire analysts and optimizes operations for larger business. PierceMatrix has been recognized and validated by the Center of Innovative Technology as a MACH37 (F13) company, by the Partnership for New York City as a Fintech Innovation Lab company (2015), and by the security professionals that use our tools daily. PierceMatrix is headquartered in Tysons Corner, Virginia, with offices in New York City and New Jersey.